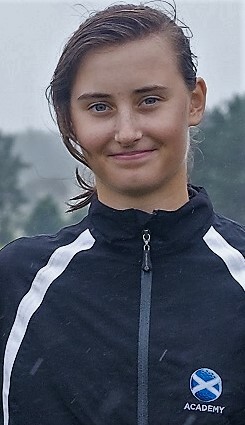 Scot Evanna Hynd, pictured, the Scottish U16 girls champion in 2017, posted a first-round score of 75, which had her in second place, two behind the eventual winner, England's France-based Ellie Gower, but the Balbirnie Park Golf Club, Glenrothes junior member later had to withdraw from the rest of the Cyprus girls' open championship at Minthis Hills Golf Club. She fell down the hotel staircase after the first round and it was her elbow and lower back that were injured. An X-ray showed nothing was broken and Evanna was given a pain injection on Friday night, but she couldn’t do a full swing the following day and deal with the pain, so she had to make the difficult decision to withdraw. Saturday's second-round was cancelled because of bad weather. Ellie Gower (73-74 for 147) won the title on Sunday and Aboyne's Carmen Griffiths finished second with scores of 77 and 82 for 159 in dreadful weather. Evanna won the first-round nett score prize , so at least her good golf in very bad conditions was rewarded.